When you need to replace the tires on your Fiatallis Motor Scraper, the most important thing is that you have tires that will be sturdy and durable, as well as affordable. We have the lowest price on the best quality around, so you can count on us for your Construction Tread Tires for Fiatallis Motor Scraper. We also have a full range of Fiatallis Motor Scraper Tire Size Options, meaning that whether you need 260B – 261B Motor Scraper Tires or 161 Motor Scraper Tires, we have the tires for you. Whether you are looking for a full Tire Package for Fiatallis Motor Scraper, a Set of 4 Tires for Fiatallis Motor Scraper, a Front Tire Set for Fiatallis Motor Scraper, or a Rear Tire Set for Fiatallis Motor Scraper, we have exactly what you are looking for. At Monster Tires, we know your business and workers’ safety depends on the quality of tires you have on your Fiatallis Motor Scraper. 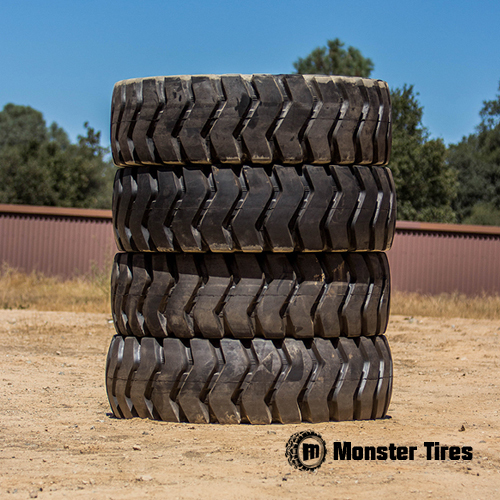 Trust in Monster Tires for your next set of Fiatallis Motor Scraper Tires!